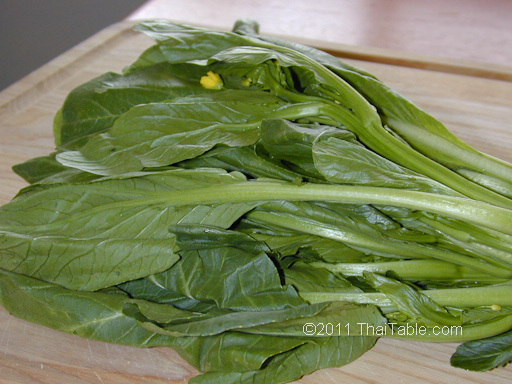 Chinese cabbage is called pak guangtong in Thai. Pak = Vegetable, Guang Tong = Canton. Chinese cabbage is also known as yu choy sum in Cantonese. Sometimes you'll see the tiny yellow flowers. They are edible. This means that the vegetable is quite mature.